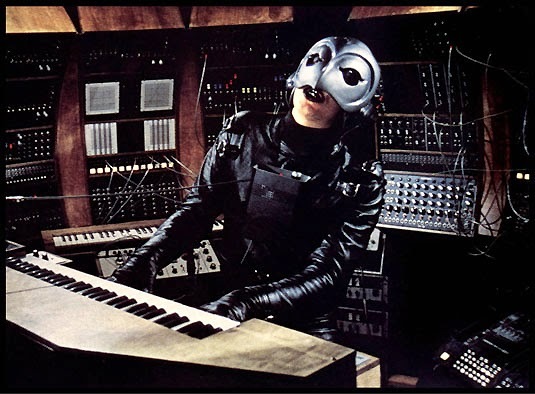 In 1974, The Phantom of Paradise was released featuring a phantom played by William Finlay with an owl like helmet, and teeth made from metal made by movie make up artist Tom Burman. His next door neighbour was a dental technician who specialised in making metal plates that went between teeth and this made Tom think "Metal teeth would be kind of cool." 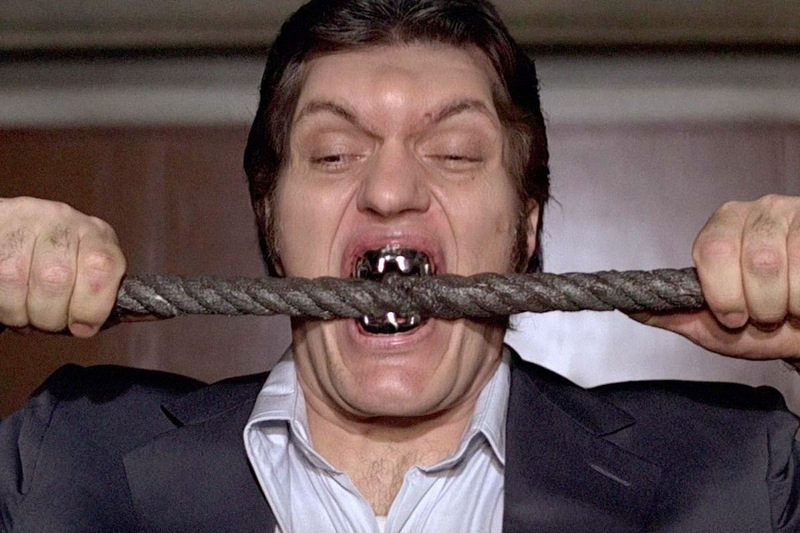 And so Tom Burman went on to supply metal teeth for Richard Kiel, an actor whose body height was 7 foot 2 inches appeared as the character named Jaws in the movie "The Spy Who Loved Me" in 1977, and the character's teeth were made from steel and he could bite through cable. The idea of the character Jaws came from film producer Albert Broccoli, and he described the character as having teeth like pliers, like tools, or like a shark – they weren’t sure and so they hired a friend of Keel's, a special effects make-up guy named John Chambers, to come up with what he thought they would like but Mr Broccoli didn’t like it. So they had a dental technician out near Pinewood try out and he liked it, and they remain in a museum in the UK. 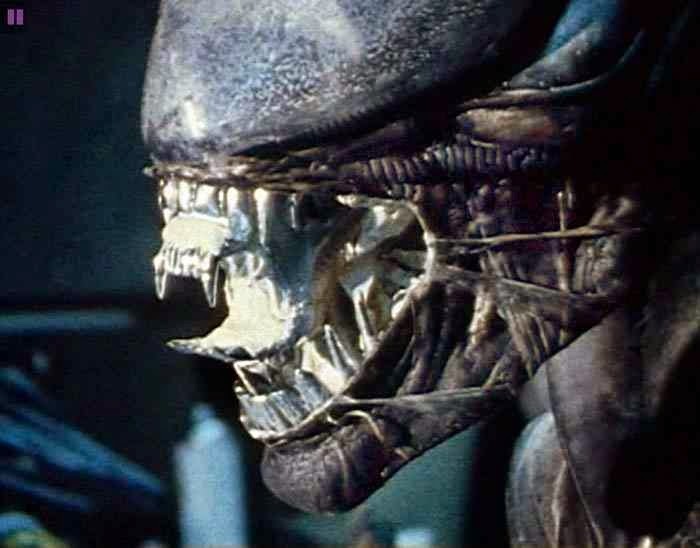 In the Alien production, they also opted to give the Alien inner and outer sets of teeth that were supposed to be steel, although in the end were chrome plated polyester. For Giger is showed that the monster was both human and mechanical, although still the creature for him was more human than mechanical. However, giving him steel teeth was a way of conveying this two-fold nature. 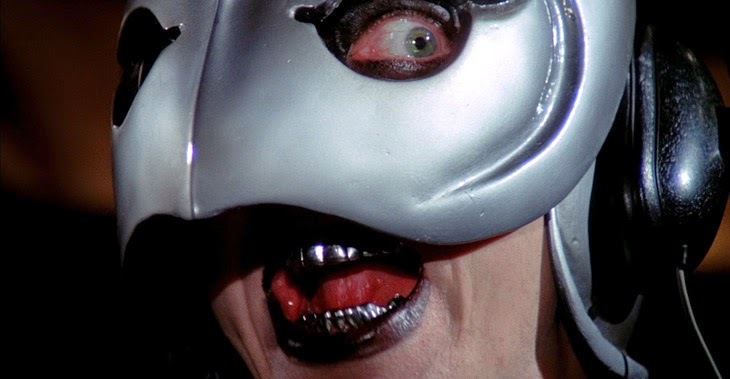 Cinefantastique: What about the metal jaws? What inspired those? Detroit-born Kiel appeared as the metal-mouthed henchman with a killer bite in two James Bond films – the 1977 film The Spy Who Loved Me and the 1979 movie Moonraker.He was cast in the role of Jaws by American film producer Albert “Cubby” Broccoli. He said he would only wear the metal teeth that sealed his place in Bond history for a few minutes because they hurt his mouth and were “nauseating”. Kiel, famed for his 7ft 1.5ins stature, said: “[Jaws] It was Mr Broccoli’s idea, he described the character as having teeth like pliers, like tools, or like a shark – they weren’t sure and they hired a friend of mine, a special effects make-up guy named John Chambers, to come up with what he thought would be what they would like and Mr Broccoli didn’t like it. So they had a dental technician out near Pinewood try out and he liked it. They are now in a museum here in the UK."